The adolescent years are a formative time of emotional development and growth; however when teens begin to display severe behavioral issues; they are putting themselves at risk for impeding healthy progress and creating habits that could plague them for years. These issues are not the simple problems present in most teenagers as they rebel, push boundaries, and strive for independence. They are unusual (but tragically common) disturbances that may lead to severe consequences. Often these conditions require special help from professionals and a residential treatment center for teens is sought out after all other options have been exhausted. Although you probably would prefer to help your teen at home, removing him from his home environment is sometimes necessary in order for him to become receptive to intervention. Residential treatment centers are private, full-time institutions that are specifically designed to help troubled teens identify their challenges and work toward a long-term solution. Such facilities are adept at helping struggling teens with issues like depression, defiance, anxiety, substance abuse and mental disorders. If your teen have been suffering from one or more of these conditions or behaviors, and past treatment and intervention have been unsuccessful, it may be time to consider a residential treatment center meant to house your teen full or part time. Studies on a number of residential treatment centers for teenagers have shown that these programs have a positive impact on rehabilitation. Teens need a stable and consistent environment in which to learn coping mechanisms and fight dangerous or damaging behaviors. These facilities provide that stability, along with professionals who are uniquely qualified to manage their challenges. Location – Each state has its own laws and regulations that govern their teen help programs. This is a good aspect to consider to ensure that the one you are considering has the high standards you want. Don’t be afraid to send your teen further from home than you had planned if it means that he will be in a safer and more experienced program. Utah is currently the most popular destination among concerned parents because their laws are the most comprehensive in the United States. Parents don’t have to worry about their children being allowed to sign themselves out of treatment, for example. Individual Attention – Although many troubled teens share similar challenges, their learning style and personal motivation are unique. Make sure you look at programs that treat your son like the individual he is and will offer personal coaching and a plan of care that caters to his needs and goals. In some instances, you may be able to find a program that provides academic tutoring to help your child improve their grades during treatment. This will assist in their reintegration after the program is complete. Therapy Program – The therapy program at Sundance Canyon Academy is unique and multi-faceted. While most programs offer some combination of individual, group and family talk therapy, some go a little further and provide experiential options as well. Experiences like music, culinary or recreation therapy raise the chances that your son will find a healing style that resonates with him. In addition, hands-on opportunities provide each student with the chance to practice teamwork and healthy interaction with other youth and adults. 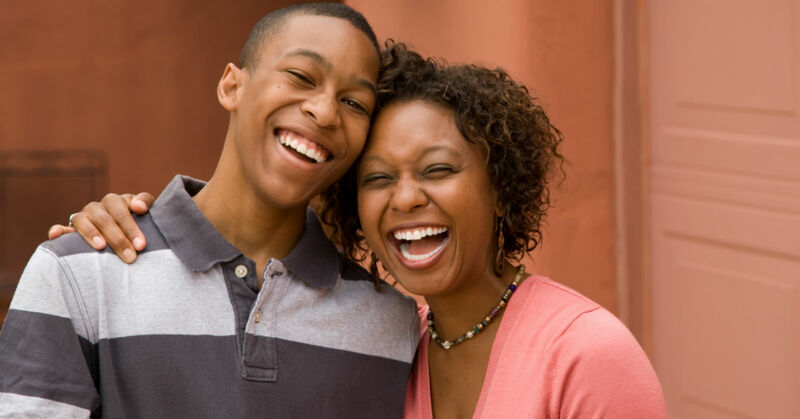 Parental Involvement – You know your son better than anyone and as such, you should be highly involved in his plan of care. While most programs require some amount of distance, especially in the initial stages, in order to allow teens to adjust to their new surroundings, a good program will include you as much as possible. The most effective facilities will also provide aftercare support for both you and your son to ensure that he is able to adjust to regular life and put his new skills into practice. Insurance – Not all insurance plans will cover therapeutic boarding schools. However, many will cover residential treatment centers, especially when used for a diagnosed condition. When looking into a program it is important to see what your insurance may assist you in paying, and how you will be able to pay for the rest out of pocket. These are not standard therapy programs. Residential treatment facilities for teens are unique in that they offer a program designed to help teens identify and fix the foundation of their issues, rather than simply managing the symptoms as so many behavior modification plans do. Your child will not merely be learning to behave but healing themselves from the inside out. Ultimately, there are many styles to choose from. Some will be more traditional settings, such as inpatient hospitals. Others may be full-time boarding schools that offer dormitories and classes, as well as tutors. There are even extracurricular based treatment facilities that provide therapy with a twist, like equestrian or boating programs. Your goal is to examine your means, needs, and what is on offer to find the best possible solution for your family. Your teenager is an individual, with their own needs and struggles. Professionals who have worked with troubled teens understand the need for individually customized treatment plans and careful handling. Especially in cases involving trauma, where special handling will be necessary. At Sundance Canyon Academy, we believe young men are capable of achieving bright futures regardless of the mental, emotional, and behavior difficulties they face. We are devoted to providing a safe and structured environment for our students that will help them discover more about themselves, learn healthy coping mechanisms, heal and progress from negative and harmful behaviors, and grow into the individual they have the potential to become. Our unique and specialized residential treatment program for teen boys is what can change your troubled teen’s life and set them up for success. If you are at your wit’s end with your troubled teen boy, there is a way out. Residential treatment centers for teens, such as Sundance Canyon Academy, offer a solution that you can trust. How Can A Residential Treatment Center For Teens Help My Drug-Abusing Son?